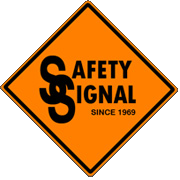 At Safety Signal Co, Inc., SAFETY comes first!� It's easy to see it's literal but, more importantly, it is clearly evident in our 40+ years of recognized performance in the State of GA and in the Southeast.� Our Traffic Control Division is fully staffed with Supervisors that are trained, skilled and ATSSA Certified.� If it's Permanent or Temporary Signs, Work Zone Safety Products, Traffic Control or Installation you desire, Safety Signal is a reliable source and DBE Certified to meet your needs. Safety Signal has a wide variety of rental equipment on hand at our facility in Union City, GA.� We provide installation and personnel for all rental equipment, flagging operations, and lane closures.� We're qualified in thermo and paint striping and can enhance your parking lot with striping, wheel stops, speed bumps, and the appropriate signs needed. 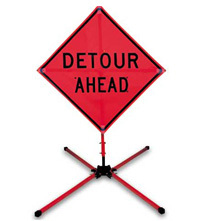 Safety Signal has a wide array of products for sale and if we don't have what you're looking for, we will get it!� We have manufactured road signs for several decades and are D.O.T. Certified. Safety Signal has all the qualified personnel to install all rental or purchase equipment on your jobsite.� Whether it's Permanent Signs for a city/county, Decorative Signs for a Subdivision, or Temporary Construction Signs around a Work Zone Area, Safety Signal has all the tools and manpower to make the Signs and Install them at your request. 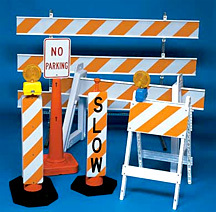 Safety Signal has just what you need to secure your Work Zone Area.� Our Hi-Visibility�products can be Purchased or Rented and meet both State and Federal Standards.� Products include: Traffic Cones, Vertical Panels, Barricades, Drums, Impact Attenuators, Delineator Posts, Water-filled Barriers, Arrow Boards, and Message Boards. Safety Signal�can handle�your Striping needs from Roads to Parking Lots; our personnel is qualified in both Thermo and Paint Striping.� While we're�on the job striping your parking lot, we can add Stop Bars, Wheel Stops, Speed Bumps, etc. Decorative Street Sign Post Units are customized for each subdivsion.� The units are made of Cast Aluminum,� adding charm and curb appeal. Safety Signal is the Traffic Control Company for several High Profile Annual Events.� We can handle a mass amount of people for your event too! Safety Signal has�ATSSA Certified Traffic Control Supervisors to create detailed Traffic Plans to be submitted for Permits, perform Lane Closures, Road Closures, or Detours and run Flagging Operations to direct traffic around your Work Zone Area. Safety Signal is D.O.T. 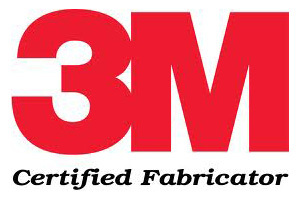 Certified to make all Permanent Signs and keeps a large stock of Temporary Construction Signs on hand. Posts are available for both Permanent and Temporary Signs as well as a variety of Sign Stands. Safety Signal produces Street Signs for Cities and Counties and can create any thing you visualize on a Customized Sign or Car Magnetic.� We're also a vendor for Georgia's required Emission Sign. Traffic signs soon will be more visible to drivers. For the first time since reflective sign sheeting was introduced more than 60 years ago, new technology from 3M is creating material based on 100% efficient optics. The result is signing material that returns nearly twice as much reflected light as the brightest material currently available.